Cleo is working to radically improve everyone’s relationship with money. With smart, personalised support, insight into your spending habits, and a simple and clear understanding of your financial data, Cleo’s designed to make you feel genuinely good about your money. You talk to her by messaging, as easily as you would any of your friends. Cleo was born out of a belief that banking has been set up against us for too long. From overdraft fees to credit cards, banking products are confusing, stressful and, frankly, boring. By contrast, Cleo works for you entirely. We’re building a new generation of financial products, and a new way of supporting you through them, putting the consumer first throughout. Launched in 2016, Cleo now helps over 1,000,000 people with their money across the UK, US & Canada. We’ll continue to scale globally, with an ambitious team and the backing of the world’s leading investors. Sound exciting? We’d love to hear from you. The chance to work at one of the fastest growing tech startups anywhere in the world. 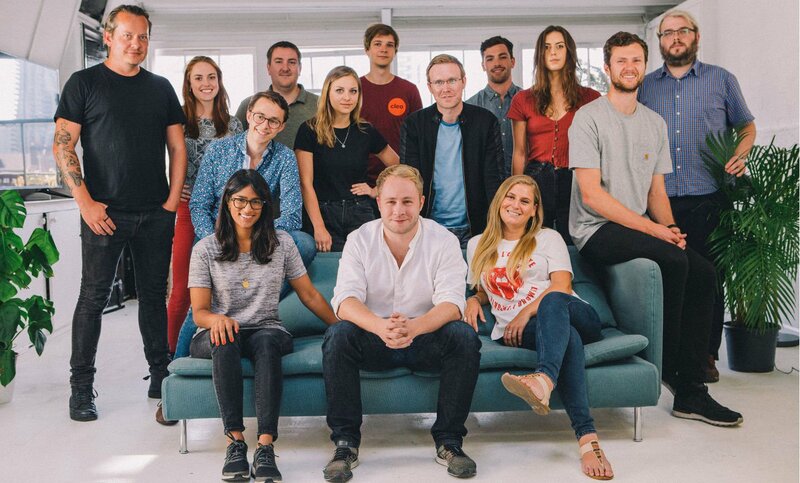 We recently closed a competitive Series A with Balderton who join a formidable investor base including the founders of Skype, Transferwise, Zoopla, Lovefilm, Climate corporation, SongKick and others. The team is exceptional. You'll get to work with brilliantly bright and dedicated individuals every day. 25 days holiday a year, plus bank holidays. We want you fresh and fully charged. Lunch-and-learns, as part of a general learning culture. Plenty of books on hand. Choose your own gear, ask for the tools you need, and we'll seek them out for you. A lovely loft office, only a stone's throw from Old Street station. Cleo socials and activities every week. Cleo AI collects and processes personal data in accordance with the EU General Data Protection Regulation (GDPR). See the privacy notice for further details.